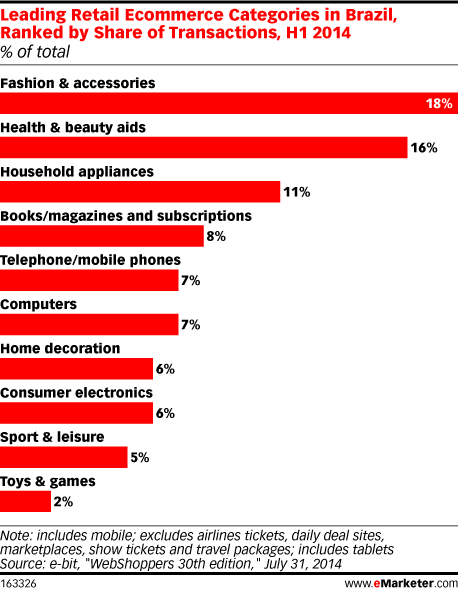 Data is from the July 2014 e-bit report titled "WebShoppers 30th edition." e-bit surveyed more than 21,000 online retailers and administered questionnaires through a consumer panel. Since 2000, e-bit has collected 19.2 million questionnaires, to which it adds more than 300,000 new questionnaires every month.